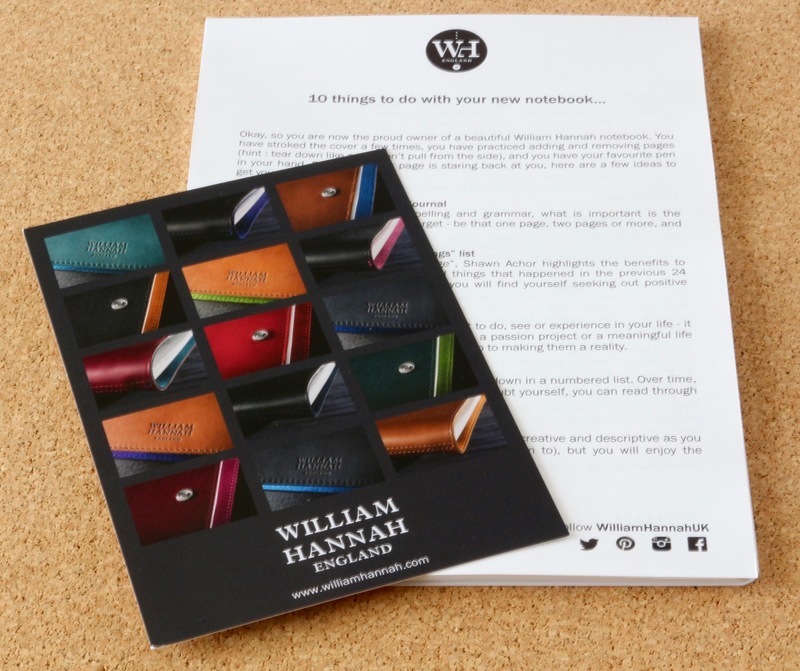 Following on from my overview of this relatively new disc bound product, I ordered a William Hannah notebook via the website in UK. Alternatively you can pay slightly more to go for a Bespoke Notebook where you get to choose the interior and exterior leather colours and the colour of the stitching as well. The cover can also be monogrammed. And as above you get to choose the pages supplied in the same way as the off-the-shelf option. In addition you can order more pages from the range available. 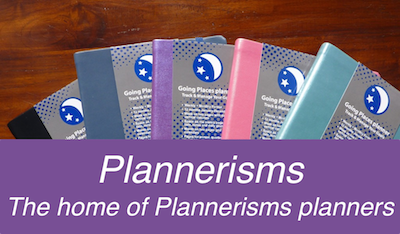 These include a diary, undated planner page, to-do list. 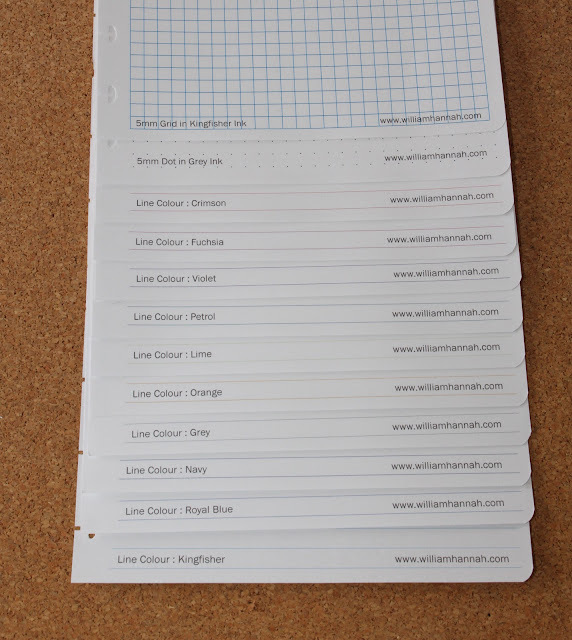 You can also build a bespoke refill pack with 50 sheets in different ink colours. See the full range on the papers page. 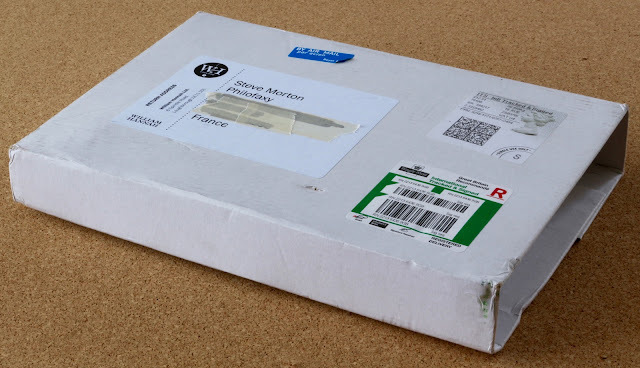 So having ordered a notebook I was surprised when post lady appeared at our gate on Easter Saturday with a parcel, it's rapid delivery might have been helped by the fact that Good Friday isn't a public holiday here in France. After the usual 'What have you got there?' from Mrs M... she stayed to watch me open the parcel! As you can see it comes in a very nicely packed outer box which will survive even the worse treatment I would think! 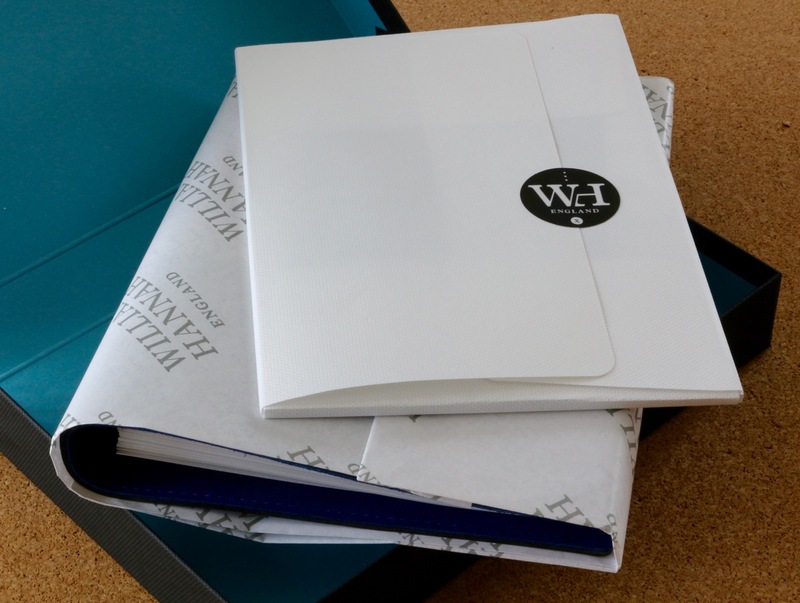 Inside was a very nice heavy card black clamshell case/box which has the emblem of WH on it. Open the case and there is your notebook nicely wrapped in tissue paper, again this is labelled with the company logo. 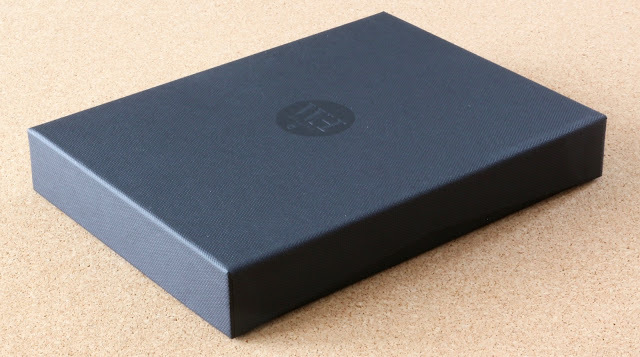 My first thought when I opened it was, what a lovely gift this would be for someone special in your life, it is beautifully presented and I'm sure they would be impressed, they might not know what it was inside, but that just adds to the build-up I think. Some additional pages I received where in a protective sleeve again with a company label holding it closed. 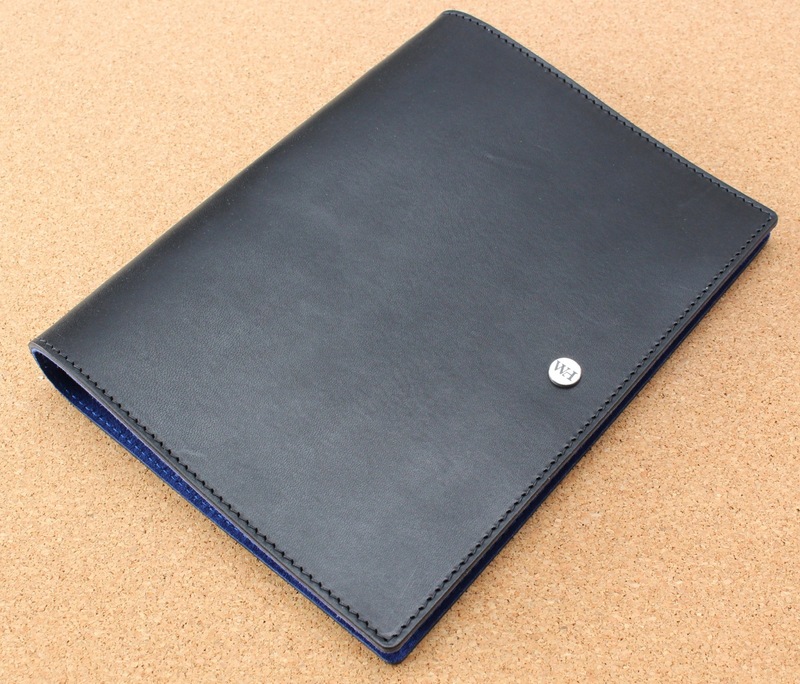 And here is my Black and Royal Blue William Hannah leather notebook. The stitching is very nicely done along the spine and around the edge. The leather is quite thick, but very supple. You get a lovely burst of colour opening the notebook and the suede interior is soft to the touch. The front sheet is slightly thicker card stock and features a place to write your name and other personal details. 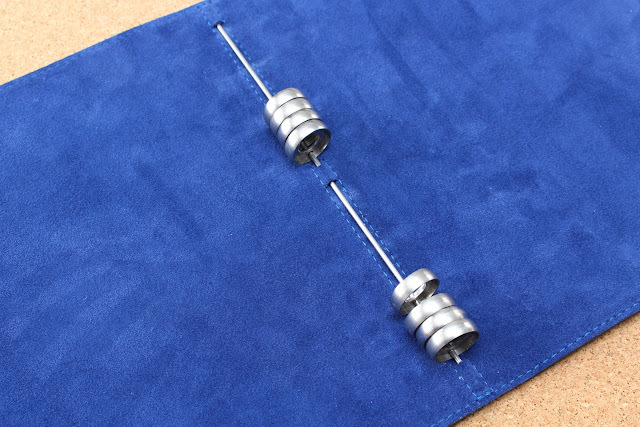 Looking at it from a slight angle shows the eight stainless steel discs that hold the pages in place, these in-turn are threaded on to a stainless steel rod which is stitched in between the layers of leather at the top and bottom and in the middle. 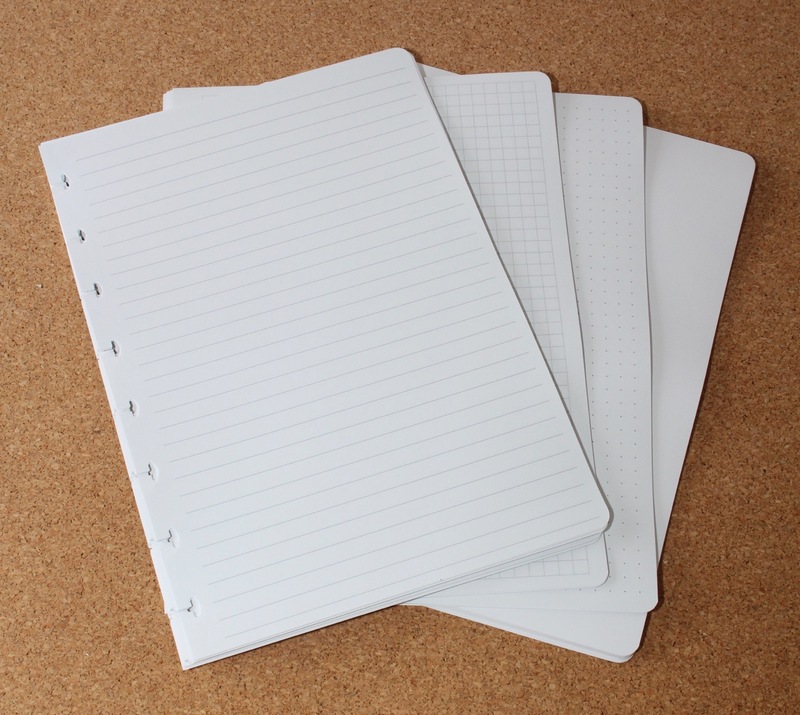 The notebook comes with several useful information pages about how to use your notebook and gives some ideas on how you might use your notebook. So I put that to the test, once an engineer... always an engineer! This shows the interior in more detail and as you can see the discs are free to move on the rod. 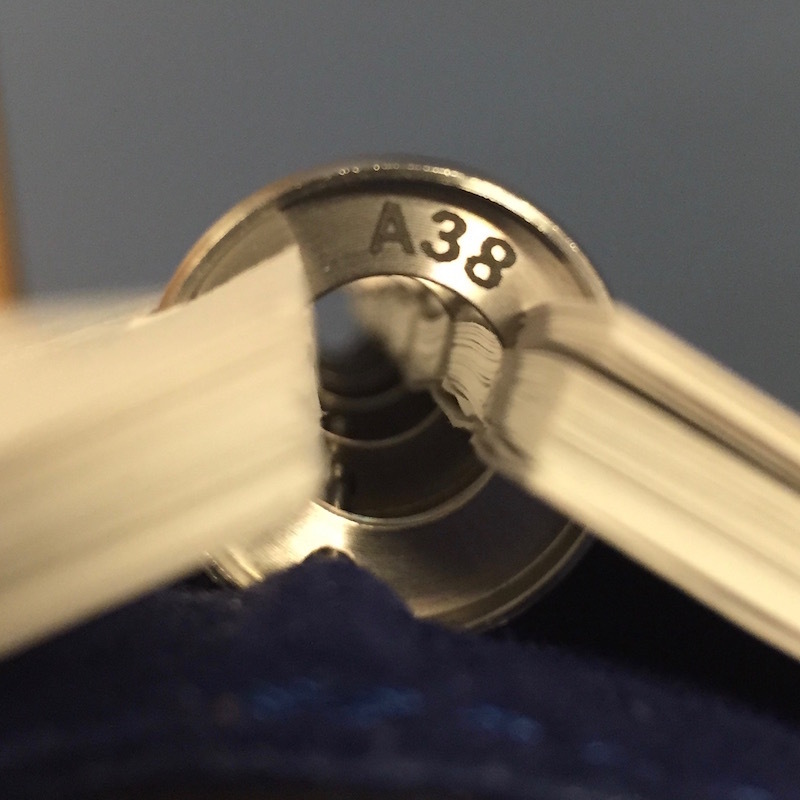 The discs are 20 mm in external diameter, the internal diameter of the discs is 18 mm where the paper tabs run in. I did some pen tests with a variety of pens on one of the plain pages. The paper is a delight to write on. The only one that bleeds through the paper is the Staedtler Lumorcolor permanent OHP marker pen, I normally only use this for labelling plastic index tabs, so I'm not surprised at the results on paper. The large marker pen though didn't bleed through that was a surprise. 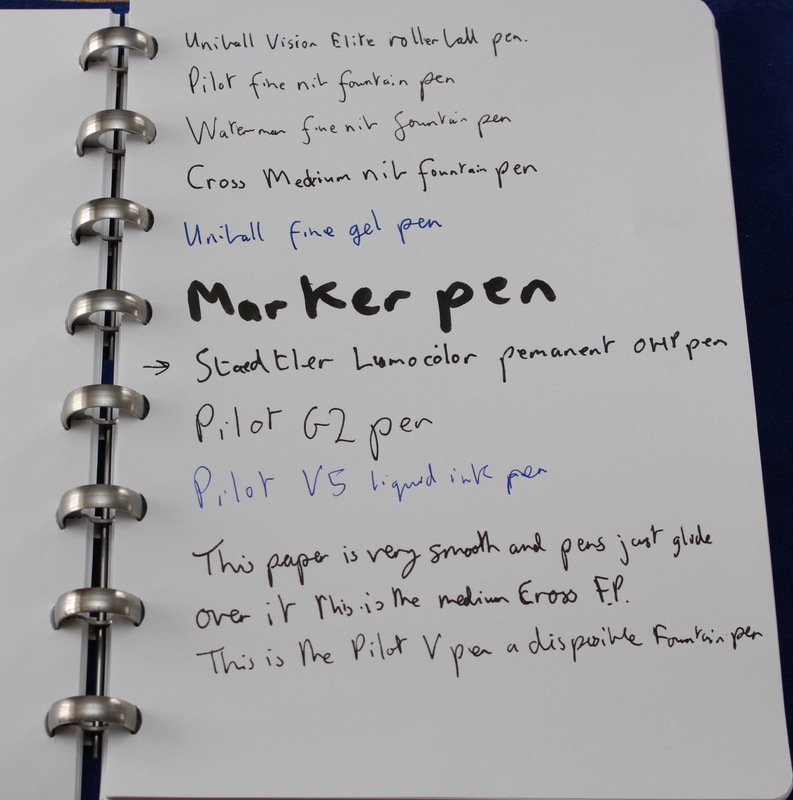 No issues with any of the other pens with a variety of different inks. The paper is 100gsm and as you can see the outer corners are neatly rounded. 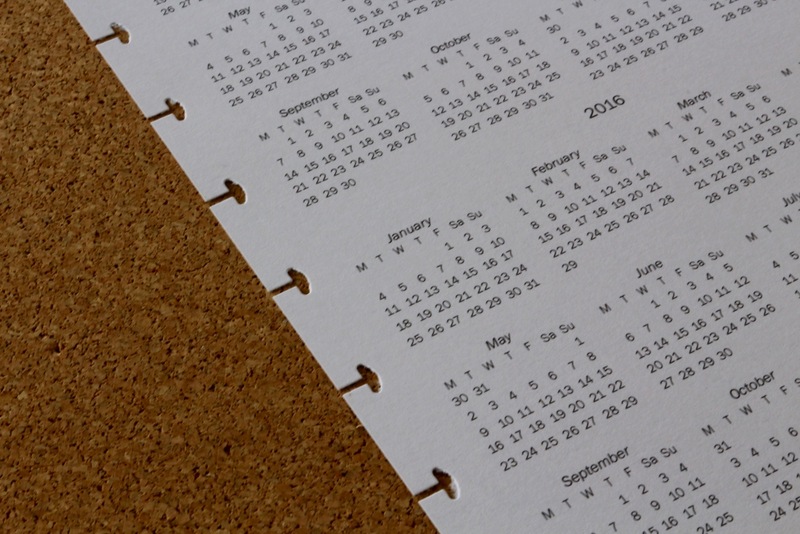 This is a close up of the rear calendar page which is slightly thicker than a normal sheet, but it shows you the shape of the disc cut outs. 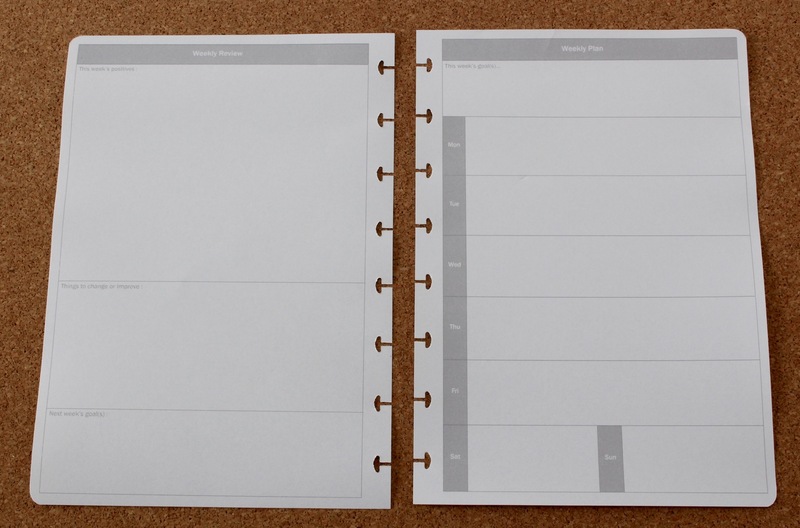 These are the undated planner pages, on the reverse side (left hand page below) there are spaces for reviewing your week. And the To-do pages have space for notes on the reverse side. For some one who doesn't like writing in a ring bound planner/notebook because they find the rings get in the way, but they want to be able to remove and insert single pages, a disc bound system like the William Hannah notebook is a great option. The disc being so much smaller than your average ring bound organiser ring mechanism and much lower in overall profile I didn't notice them at all. Height 22.2 cm, closed width 17.0 cm, Thickness 2.6 cm, Open width 35.5 cm. The leather cover is 3mm thick made up of two layers of leather which is stitched at approximately 7 stitches per inch. Comparison to other disc/wire bound systems. 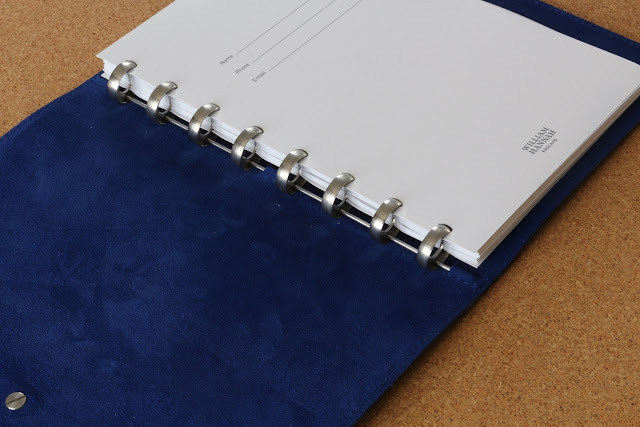 There are several other disc/wire binding systems on the market that offer a similar ability to put in and remove pages. The picture below shows two others apart from the William Hannah one. 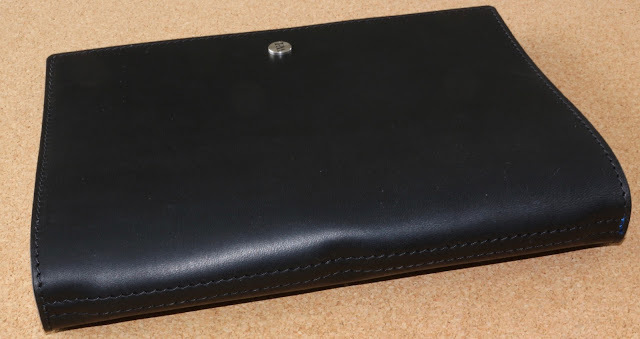 First of all the MiracleBind/Filofax is a wire bound notebook system the cut holes are a totally different shape and also the pitch of the holes (spacing between them) is different to the Arc and William Hannah cut holes. So even if it was the same shape the pitch is different so we can't really try that out at all. However the Arc disc system does use slots or holes at the same pitch as the William Hannah system, as you can see the shape of the cut out is slightly different, but still within tolerance and fit for the William Hannah discs. I was therefore able to try some pages punched with the Arc paper punch in the William Hannah notebook and they fit perfectly and the pages turn just fine as well. 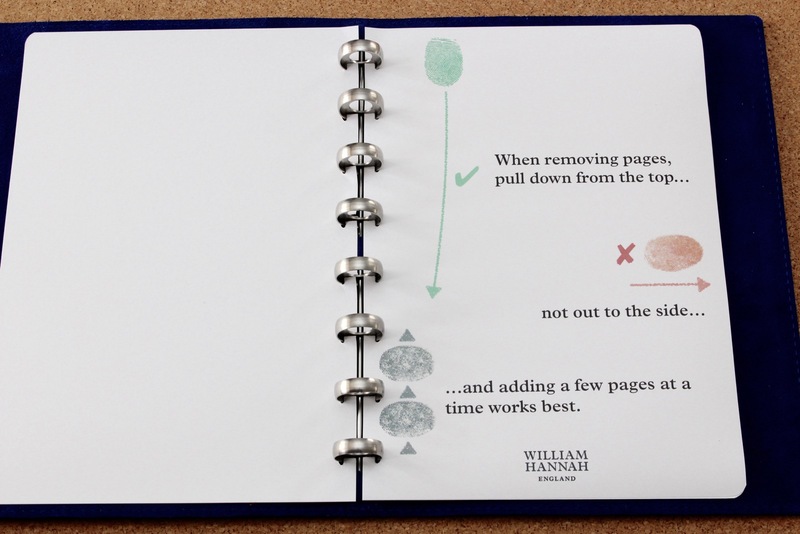 I went a step further and without telling my wife Alison, I asked her to try turning both the Arc and William Hannah pages to see if she could notice a difference between them. 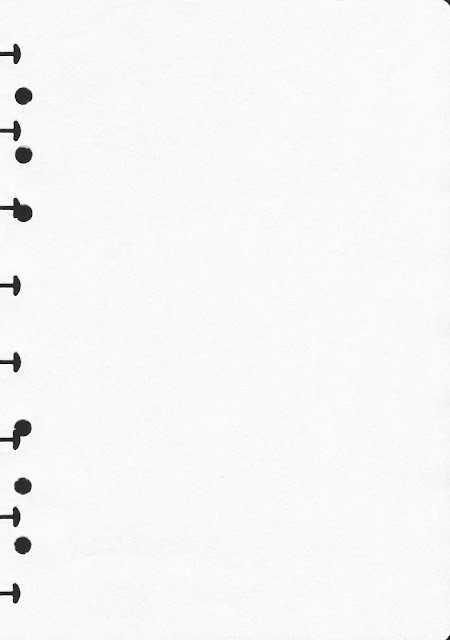 The only thing we both noticed was that the pages punched with the Arc punch moved fractionally more than the ones supplied with the William Hannah notebook. I think that can be explained by looking at the slots (the vertical cut to the edge of the page) that are cut, the Arc ones are fractionally wider than the ones of the William Hannah pages. 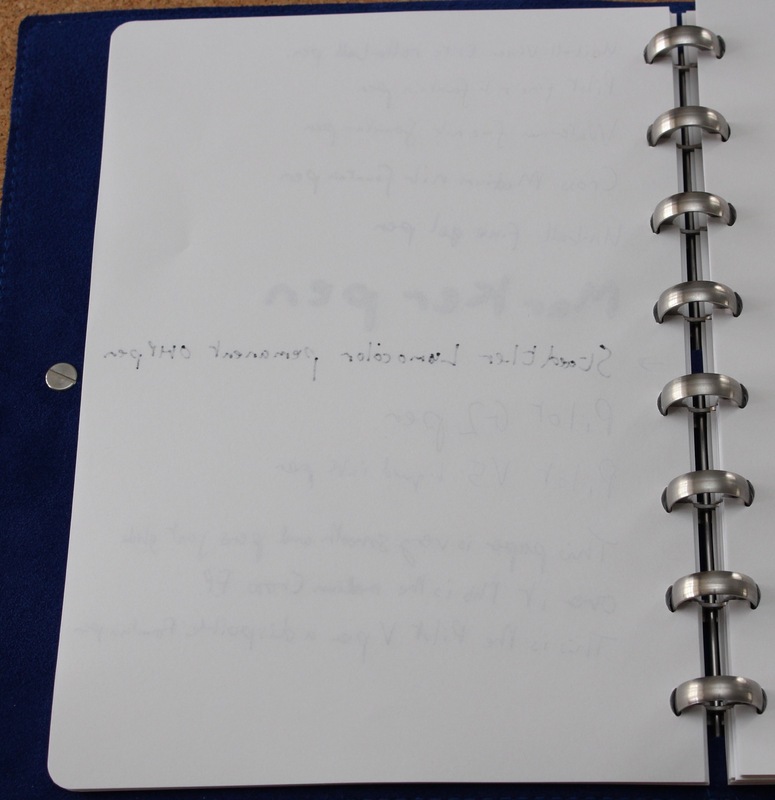 Overall though we both think that that if you have your own pages to insert in to the William Hannah notebook and you already have an Arc punch then it will work just fine in this notebook. A lot of us are also A5 ring bound organiser users, can you swap pages between the two systems? Naturally I had to try this option. I took a pre-cut page from the William Hannah note book and punched it with my Filofax A5 punch. 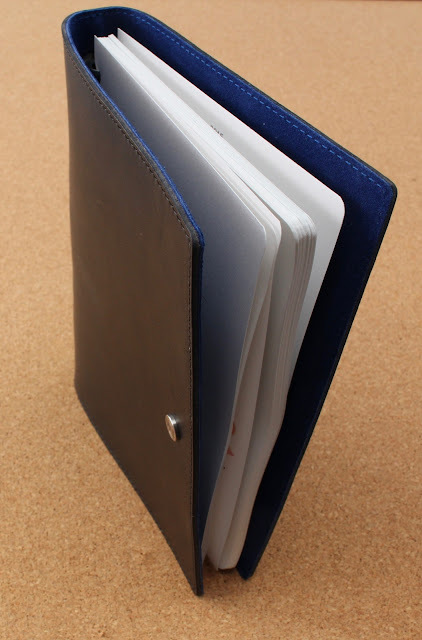 As you can see only two of the holes cut in to the slots for the notebook, but the other four holes are fine. 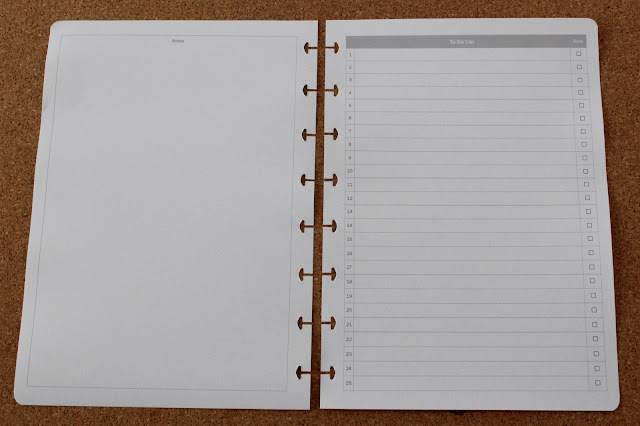 Therefore you would be able to inter-change the pages between an A5 ring bound organiser and the William Hannah notebook. I think this is very well thought out product the attention to detail in the presentation and packaging stands out. The notebook is very well made is quite slim yet the discs hold a surprising quantity of paper. It is a very professionally finished product and it will not look out of place in a business meeting or at home in your study or living room. The initial price of the notebook might seem high, but when you consider what you get in the full package and the way it is very well presented and the price of additional inserts is very reasonable for the weight and quality of of the paper used. 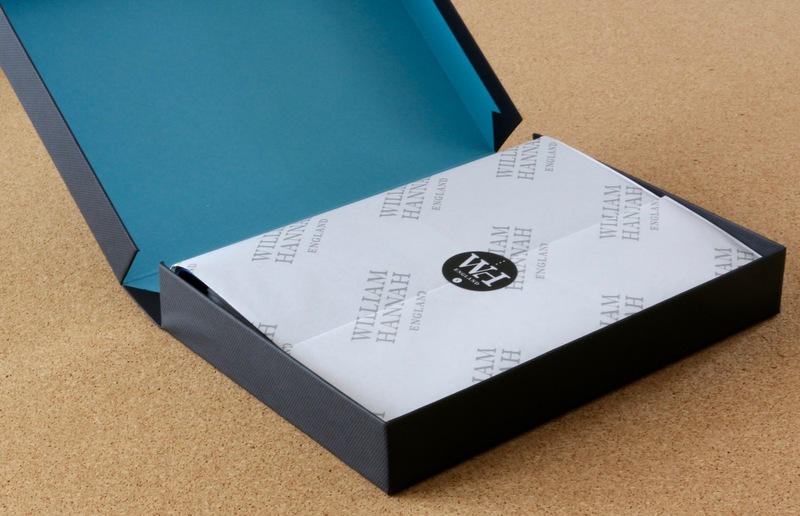 William Hannah would like to offer Philofaxy readers a free 50 sheet pack of plain paper if they order a notebook. All they need to do is mention the Philofaxy review in the "SPECIAL INSTRUCTIONS FOR SELLER" box during checkout, and they will include the paper pack with your order. I know that some people have already ordered a notebook because of the initial article, and it doesn't seem fair that you missed out on this offer. Therefore, if they just drop William Hannah an e-mail (see below) with your notebook number (it's engraved on the top ring of the notebook), then they will send you the plain paper pack. Check out the launch video from last year. Thank you to William Hannah Limited for responding to my various questions about their products and for supplying various samples shown in the review. Curse you, Steve! :D I am severely tempted ...! Thanks for a great review & it looks very nice. I am resisting any temptation luckily! 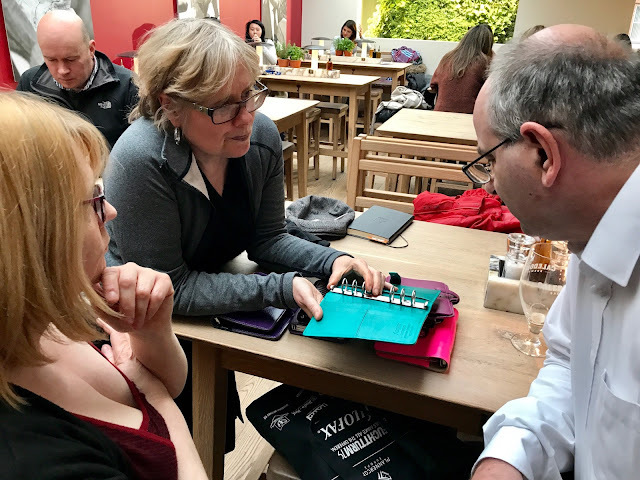 I agree with you about the packaging & it's something that we've said before, but it's a shame that Filofax have downgraded their ones nowadays. I bought one after the last post on them and my notebook is stunning, I had the Agave & Lime. 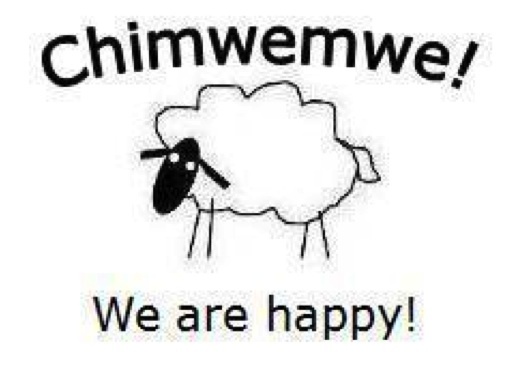 Would recommend to any one who is sitting on the fence! Great overview, Steve, of a very handsome binder....and reiforces the feeling I got from the recent WH preview post.....that this is a very good quality product. I just wanted to say thank you so much for the work you do in this blog! 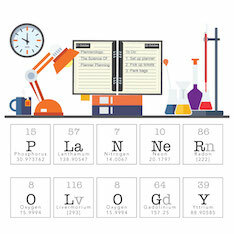 I have been researching planners and reading your posts have helped me so much. Thank you Gemma, there are lots of options out there these days. Yes it's all pen and paper, but there are lots of options as to how you carry the paper around and how you use it to help you run your life !